Extended borders to Asia Minor and secured frontiers. Prosperity. They Improved harbors, cleared forests, drained swamps, and turned unused land into farms. Products from all over the empire flowed into Rome. They built cities and expanded old ones. Greeks came after the conquests. They were brought as slaves to live with the Romans and teach them laws and legal traditions of Greece. Romans added organization, engineering, and a talent for government and law. Virgil wrote Roman propaganda; Aenid. Horace criticized lives of wealthy Romans. Ovid spoke for the wealthy people. 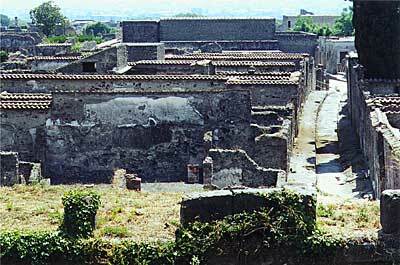 Juvenal criticized cities. They now made realistic sculptures. 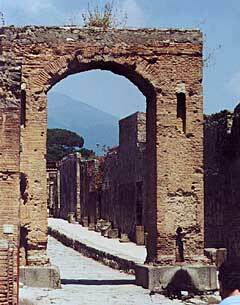 Romans used the arch, saved on building costs, used concrete, and built structure to last. Some things built by the Roman Empire are still in use today. The Romans used science for practical things. Ptolemy: mathematics, geography, and astronomy. They understood that there was a system of planets. In their system, the earth was at the center. This theory was believed until the 16th century. Galen: medicine. Basis for Western medical knowledge until modern times. Philosophy - Marcus Aurelius: People should live simple lives, control their emotions, and be self-sufficient. The Romans thought law should reflect principles of reason and justice, and should protect the citizen's person and property. Their idea that law could be based on just and rational principles could apply to all people, regardless of nationality was a major contribution.